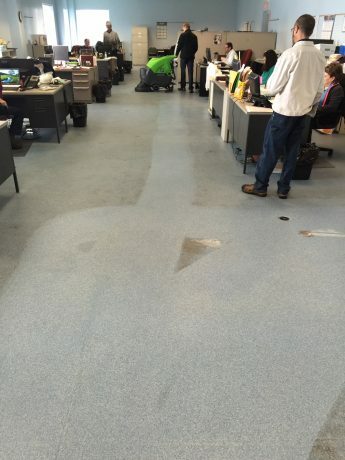 A manufacturing facility in the Midwest had been struggling to keep their epoxy floors in an office area, just off the manufacturing floor, clean. Foot traffic had caused lots of dirt and oil to track in and a mop and bucket was not doing a sufficient job at removing all the grime. 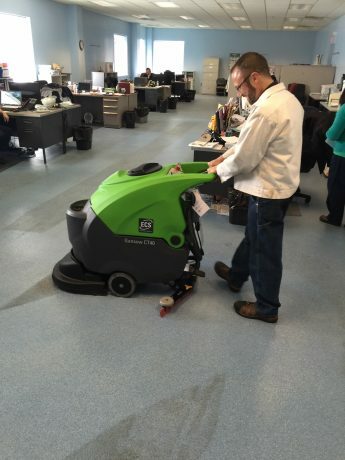 They scheduled a demonstration with IPC Eagle for the CT40 ECS Automatic Floor Scrubber to see if that would help in improving their floor’s appearance. 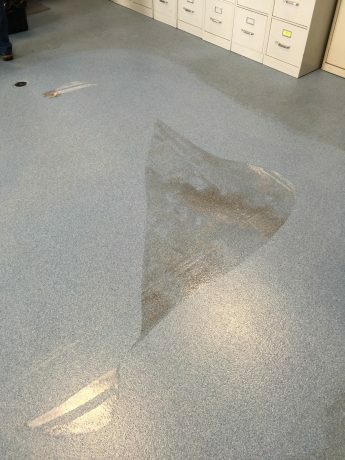 In just one pass, the scrubber was able to restore the original shine and gloss to the epoxy floor, clearly demonstrating how inefficient the mop and bucket had been when cleaning. IPC Eagle has an extensive line of automatic scrubbers that can help improve your floor’s appearance and reduce the time needed to clean your floors. To schedule a demonstration, click here to fill out a contact form and someone at IPC Eagle will contact you to set up. How do floor scrubbers work and why should you consider purchasing one? IPC Eagle's One Cart with Pre-Treat System can Work to Help Schools Prevent Cross-Contamination! IPC Eagle's Floor Scrubbers, Vacuum Sweepers and Ultra Pure Window Cleaning systems being displayed at Sales Meeting in AZ!